From the Emerald Coast to Panama City to Southeastern Alabama, Panhandle Insulation has established itself as a trusted name in the construction industry. We serve the residential and commercial insulation needs of 18 counties over two states. We're a foremost provider of hurricane defense, and an expert installer of garage doors, gutters and shelving systems, PI strives to offer a wide range of quality products and services at a reasonable price point. Above all else, PI prides itself on personal integrity. We believe in an honest day’s work and stake our business on clean, timely completion of each job we undertake. Insulation is the foundation of any structure’s energy efficiency plan. 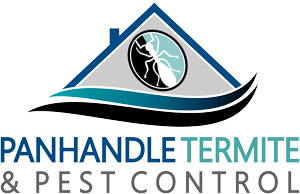 We offer many other services as well, ranging from spray foam to termite control. Click below or give us a call to learn more! To experience the PI difference, contact us for a FREE consultation. Whether you are a homeowner, a small residential building outfit or a large construction company, PI can accommodate your insulation service needs. Let’s get started. At Panhandle Insulation, we offer services to homeowners, contractors, and large companies and install and service residential new construction, residential existing, commercial new and existing construction as well as the industrial sector. Our installers are well trained and knowledgeable in finding the most cost-effective energy efficient solutions for your insulation project.